Though the filmmaking partnership of producer Ismail Merchant and James Ivory started in the early 1960s, they didn’t reach a substantial US audience until 1985’s A Room With a View. That movie helped establish the “genre” of the Merchant-Ivory film. These tend to be genteel, subdued period character dramas, and 1992’s Howards End provides one of the duo’s best-received efforts. Set in Edwardian England circa 1910, Helen Schlegel (Helena Bonham Carter) falls in love with Paul Wilcox (Joseph Bennett). However, he rebuffs her affection and leaves her high and dry. The connection between the two families doesn’t end there, though, as a few months later, the Wilcox clan takes up temporary residence in a flat across the street from the Schlegels. This reignites repressed emotions, but relations between the clans improve when Helen’s sister Margaret (Emma Thompson) befriends Ruth Wilcox (Vanessa Redgrave), the terminally ill family matriarch. In addition, Helen accidentally meets working class intellectual Leonard Bast (Samuel West). His intelligence and insight intrigues the Schlegel women, so they take him under their wing. We follow the interconnecting relationships among the three families represented. Back when Howards End hit screens in 1992, I couldn’t have been less interested. While my 25-year-old self enjoyed some dramas, I didn’t find myself intrigued by the sort of “chamber piece” I figured it represented, so I never saw the film until this Blu-ray arrived in 2016. Now 49, I like to think that I possess a more open mind than I did in 1992 – but I still must admit that the genre to which End belongs doesn’t ring my bell. Still, over the years I’ve learned not to just the proverbial book by its cover, as I’ve enjoyed a lot of movies that wouldn’t normally fit my preferences. Given all the praise awarded to End, I figured it might entertain me more than I anticipated. Or maybe not. Although I respect and admire the craft behind the meticulous production, little about End moves me. I know a movie doesn’t thrill me when my praise revolves almost entirely around technical areas. To be sure, End looks great, as it possesses sumptuous production values. It shows lovely photography and terrific costume/period design, so the film offers a visual treat. End also provides a strong cast, all of whom inhabit their roles in a satisfying manner. With Bonham Carter, Thompson, Redgrave and Anthony Hopkins in tow, it’d be tough to imagine bad performances, and the actors fill out their roles well. Alas, the basic story and characters let me down, as I never invest in these situations. Much of this comes from my feeling that End offers pretty standard melodrama – it obscures these moments beneath its buttoned-down exterior, but we still get plenty of broad character developments that would seem at home in soap opera. That’s when the film bothers to expand its themes and story elements, as much of the tale finds itself buried beneath superficial notions. At times it feels like End consists of little more than scenes in which people drink tea and eat snacks. We find endless scenes of that sort, so while the flick uses these as part of the social interactions, it still seems more concerned with manners than with storytelling. Indeed, even the lush production design of End can feel like a crutch. The movie invests so much in stylistic choices that it fails to bother to give us story and characters that interest us. Though End does feature a fair amount of melodrama, it remains oddly dull. I just never care about the characters, as they seem bland and forgettable. When major events occur, they leave me unmoved. End also suffers from a lot of heavy-handed imagery. For a movie that wants to be subtle and low-key, it comes with more than a few moments that batter the viewer with their obvious meaning. End can be more of a social treatise than a character drama, and that lack of nuance becomes an issue. Ultimately, Howards End strikes me as rambling and not especially interesting. While I respect aspects of the production, the final result does little for me. 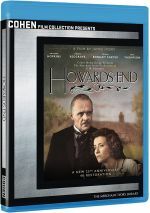 Howards End appears in an aspect ratio of approximately 2.50:1 on this Blu-ray Disc. The disc’s packaging refers to this as a “gorgeous 4K restoration”, and I can’t disagree with that assessment. Sharpness seemed strong. Nary a sliver of softness impacted the presentation, as the movie looked well-defined and concise. I saw no shimmering or jaggies, and edge haloes remained absent. Print flaws failed to impact the image. Howards End opted for a low-key, desaturated palette with a general golden tint. Though the colors didn’t often leap off the screen, the transfer represented them well. Blacks appeared deep and dark, while shadows seemed clear and smooth. This became a terrific presentation. Update: when I originally posted this review, I stated that the film came with a 2.35:1 aspect ratio. That was an estimate – the Blu-ray’s case erroneously refers to the aspect ratio as 1.78:1, so I described the image as 2.35:1 based on basic eyeballing and the fact the movie originally screened at this ratio. Since then, I gained information that this Blu-ray actually cropped the original 2.35:1 and lost information from prior releases, alterations that left this one at approximately 2.50:1. I compared the image to other 2.35:1 Blu-rays and saw that End clearly offered a narrower image. Because of that, I amended my review to reflect the more accurate 2.50:1 ratio. The question becomes why? I see no evidence that End was ever intended to show 2.50:1, and absent a filmmaker statement to explain the altered aspect ratio, I can’t find justification for it. I have to assume it was a mistake. I’m not sure how the cropping occurred during the transfer process, but I think it’s likely that an error took place in terms of this altered aspect ratio. Given the movie’s character focus, its DTS-HD MA 5.1 soundtrack lacked a lot of zing. The soundfield emphasized general ambience, so even scenes with potentially dynamic material stayed restrained. This created a bland soundscape. Music offered good stereo presence, but effects focused heavily on the front. In that realm, they offered reasonable breath, but they didn’t do more than that, and surround usage seemed minor. Audio quality worked fine. Speech seemed distinct and natural, without edginess or other concerns. Music sounded full and rich, and effects offered good accuracy. Though those elements had little to do, they still came across well. This turned into an acceptable soundtrack for a subdued character effort. Most of this set’s extras reside on Disc Two, but Disc One includes one feature: an audio commentary from critics Wade Major and Lael Lowenstein. Both sit together for this running, screen-specific look at the source novel and its adaptation, cast/crew, locations and production design, themes/interpretation and related areas. Though the commentary presents occasional nuggets of value, it usually doesn’t really go anywhere. We get a lot of praise as well as many remarks that simply discuss the on-screen action. The track does offer some good information but we don’t get enough to carry it. Over on Disc Two, we start with a 2016 Conversation Between Director James Ivory and MOMA Senior Curator Laurence Kardish. This piece goes for 26 minutes, 43 seconds and offer thoughts about the adaptation of the source novel and changes made, story/character areas, what brought him to the project, cast and performances, locations, themes, music, and aspects of the production process. Ivory offers good thoughts about the film – so many that I wish he’d recorded a full commentary. Another 2016 piece, we find an Interview with Director James Ivory and Actor Vanessa Redgrave. Seen at the Cannes Film Festival, this eight-minute, eight-second piece looks at a few production topics. A fairly fluffy chat, the Cannes piece feels insubstantial. One more modern segment, we locate a 2016 On-Stage Q&A with Ivory and critic Michael Koresky. Shot at Lincoln Center, it lasts 27 minutes, 17 seconds and covers topics similar to those viewed in the Kardish interview. This means some repetition, but Ivory brings out a few new thoughts. Next comes a 1992 behind the scenes featurette. In this four-minute, 32-second clip, we hear from Ivory, producer Ismail Merchant and actors Anthony Hopkins, Helena Bonham Carter and Emma Thompson. This tells us about story and characters and it lacks any substance. Building Howards End runs 42 minutes, 37 seconds and presents notes from Merchant, Ivory, Bonham Carter, costume designer Jenny Beaven, and production designer Luciana Arrighi. The show examines the source novel and story/characters, cast and performances, costume/production design, cinematography, the work of Merchant and Ivory, and the film’s release. Inevitably, “Building” repeats some of the info from prior programs. Nonetheless, it offers a pretty solid overview of the production and gets into a mix of new areas. These make it arguably the strongest of the disc’s supplements. During the eight-minute, 58-second Design of Howards End, we get material with Arrighi and Beaven. As expected, they tell us more about costumes and production design. The women add a mix of useful details. James Ivory Remembers Ismail Merchant lasts 12 minutes, 11 seconds. Here Ivory reminisces about his filmmaking partner and their long-time relationship. Ivory avoids sentimentality and makes this an interesting discussion of his deceased cohort. In addition to two trailers, the package finishes a booklet. This features credits, photos and a few essays. The text ends the set on a positive note. Though well-crafted, Howards End leaves me cold. 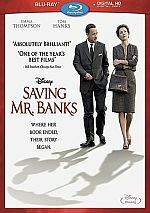 The movie seems contrived and lacks much real drama. The Blu-ray boasts excellent picture along with acceptable audio and a reasonable roster of bonus materials. I want to like the film but it never comes to life for me.